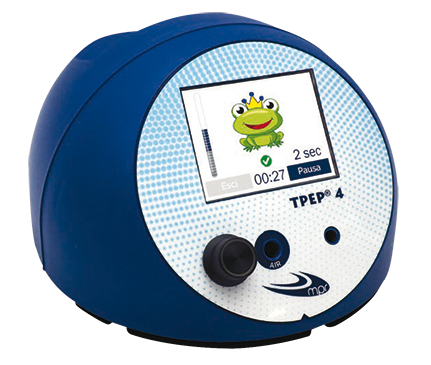 TPEP® 4 is a medical device for the removal of airways secretions and for personalized specific exercises of respiratory rehabilitation. It was designed with the idea of integrating, in a single device, different physiological functions and instruments that have proven effective in the field of respiratory physiotherapy, and in particular in airways clearance. Besides the TPEP® (Temporary Positive Expiratory Pressure) therapy, it is possible to perform PEP exercises and work with inspiratory resistance correctly because of the visual feedback provided by the device. Finally, it allows the treatment of the lower and upper airways through nebuliser therapy and nasal washing.